A Bench of the National Green Tribunal comprising of the Justice Swatanter Kumar (Chairperson), Justice M.S. Nambiar (Judicial Member), Dr. D.K. Agrawal (Expert Member) and Prof. A.R. Yousuf (Expert Member) issued 28 directions for implementation of the project called, ‘Maily Se Nirmal Yamuna’ Revitalization Project, 2017, to be completed by 31st March, 2017. Under these directions, the bench put a spot fine of Rs 5,000 on anyone spotted throwing waste in Yamuna, as is generally seen in Delhi where people dispose worship material waste into the holy river from bridges across it. It also put a fine of Rs 50,000 on dumping of construction debris in the river. The Bench was primarily concerned with that section of River Yamuna which flows in the National Capital Territory (for short ‘NCT’) of Delhi. The Applicant, Mr. Manoj Mishra, is a retired officer from the Indian Forest Services and convener of the ‘Yamuna Jiye Abhiyaan’ and the Applicant No. 2, Mrs. Madhu Bhaduri, is a former member of Indian Foreign Services. MoEF had constituted an Expert Committee vide its order dated 13th September, 2013. This Committee was to critically analyze and examine the YRFD Plan of DDA, steps to be taken for further improvement of river bank and also to consider other relevant aspects. The Expert Committee had opined that 32 Sewage Treatment Plants ought to be installed at minor and major drains of Delhi, in addition to the existing STPs. Once these proposed STPs are established and made operational, the drains are kept clean and it is ensured that sewage does not enter these drains, restoration of Yamuna to its original status is completely an achievable goal, as per the report. Further, according to the Tribunal, ancillary to this solution recycling and reutilization of the water that would be discharged from these STP’s after treatment of the sewage. “This would not only help in providing usable water for horticulture and industrial purposes for which there is a great shortage in Delhi, but, would also minimize the discharge into River Yamuna, preventing its pollution on the one hand and furthering the cause of its restoration on the other,” it said. Another facet which called for attention of the Tribunal was that all the natural and manmade drains in Delhi should be kept clean, free of obstruction and dumping of any material or municipal waste, in or around them should be strictly prohibited. The Court repelled the contention that development on the banks of River Yamuna is necessary by raising constructions of the kinds which were contemplated by the DDA and even suggested at the Bar, by referring to the Principle of Sustainable Development. The entire issue was identified in two segments, which are the primary sources of pollution of River Yamuna. The first, pollution resulting from discharge of industrial and trade effluents; and the second, sewage and domestic discharge and untreated waste entering the River Yamuna through different drains. According to the Tribunal, industrial units within a particular industrial cluster have to pay these amounts on the ‘Polluter Pays’ Principle, for the pollution already caused by them and even which they are causing presently, as well as to prevent pollution in future on the Precautionary Principle. Major part of such costs, obviously have to be borne by the authorities concerned, let us say 2/3rd, while 1/3rd of the total costs should be borne by the industries. 28 directions were hence issued in order to ensure complete and effective implementation of the recommendations made by the Expert Committees in their reports dated 19th April, 2014 and 13th October, 2014 respectively, as well as, to identify the authorities responsible for compliance for timely preparation and execution of action plans, prepared in terms of the judgment. 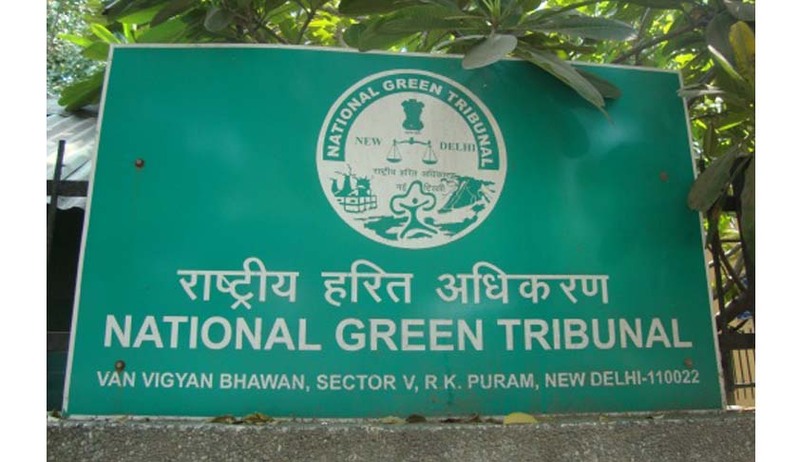 Read the NGT judgment here.